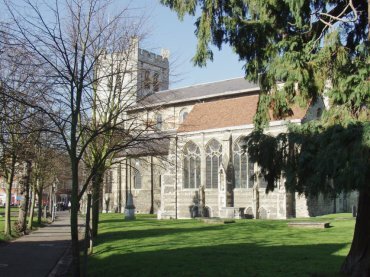 BeenThere-DoneThat: Waltham Abbey (1), Essex. The Welsh Harp Inn dating from the 15th century. 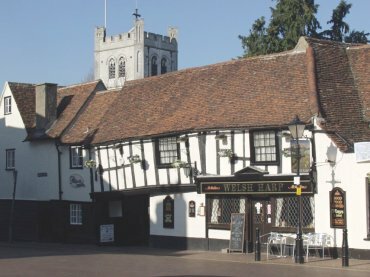 The opening in shadow on the left is an archway through to the abbey churchyard with the abbey church tower showing above the roof. This viewpoint is from what might be described as the (rather small) town square. Holy Cross and St. Lawrence Church seen from near the archway through the Welsh Harp Inn. There were three previous churches on this site and the current building was erected in the first quarter of the 12th century to replace the church founded by King Harold. In 1177, Henry II re-founded the church as an Augustinian abbey, as part of his penance for the murder of Thomas Becket. A little way from the East End is supposedly the grave of King Harold. 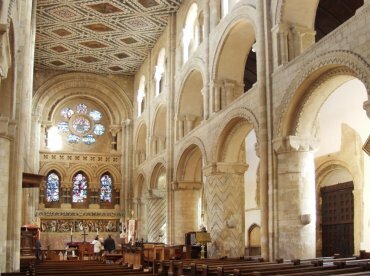 The Nave shows the distinctly Norman pillars and arches. The East End and the nave ceiling were built as part of a restoration in the 1860s. The Nave ceiling in detail. 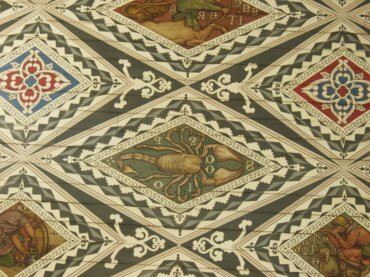 Part of the restoration work in the 19th century it was designed by Burges and with panels painted by E. J. Poynter. 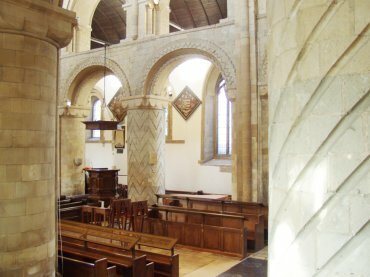 This view across the nave shows the different column decorations used by the Normans with typical Norman decoration around the arches.